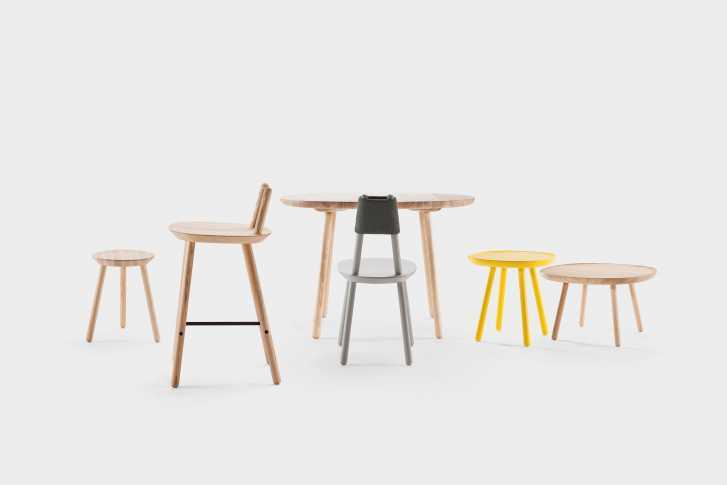 A furniture family that started with a chair, and grew to include a bar stool, a stool, a dining and coffee tables. 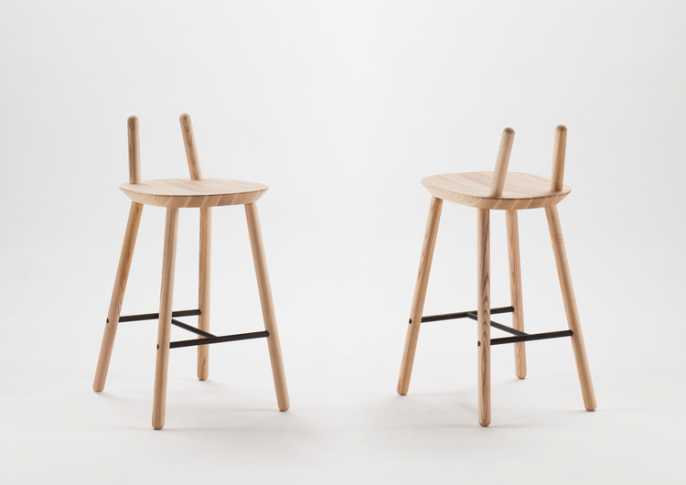 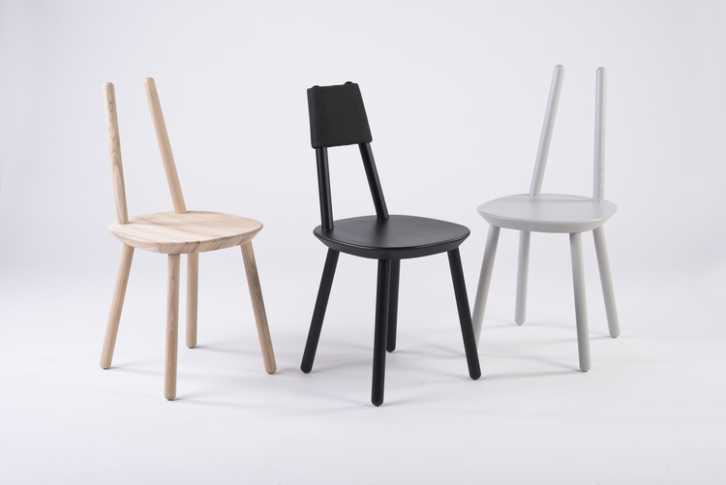 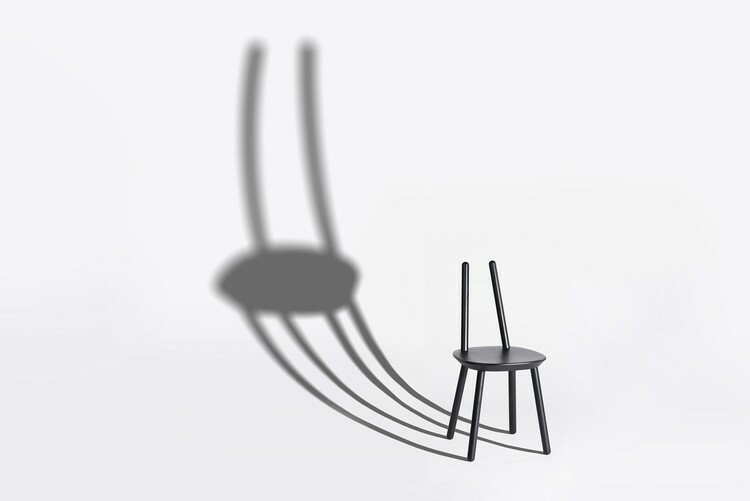 Playful, the chair is of such roguish simplicity that it looked as if it could have been drawn by a child: a carved solid ash seat and six legs of equal length to screw. It hardly takes a minute to assemble them, and another one to flat-pack them for shipping. Nevertheless, the flexible foam backrest make it a surprisingly comfortable chair, while also the length and angles of the legs have been engineered to obtain the best proportions and to offer superior ergonomics. 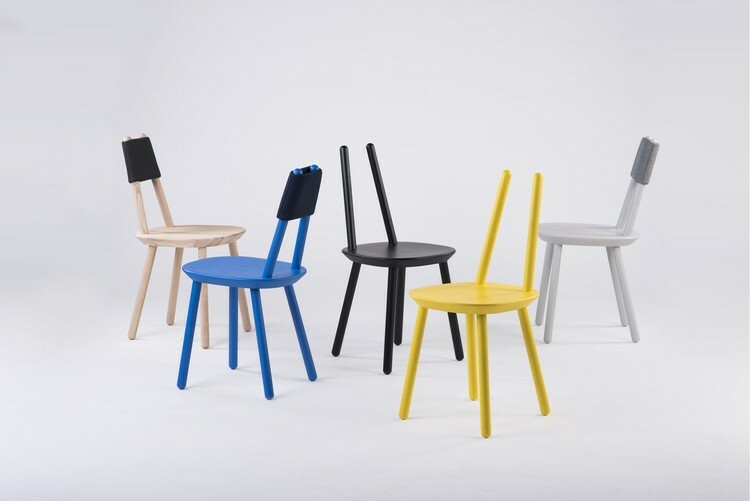 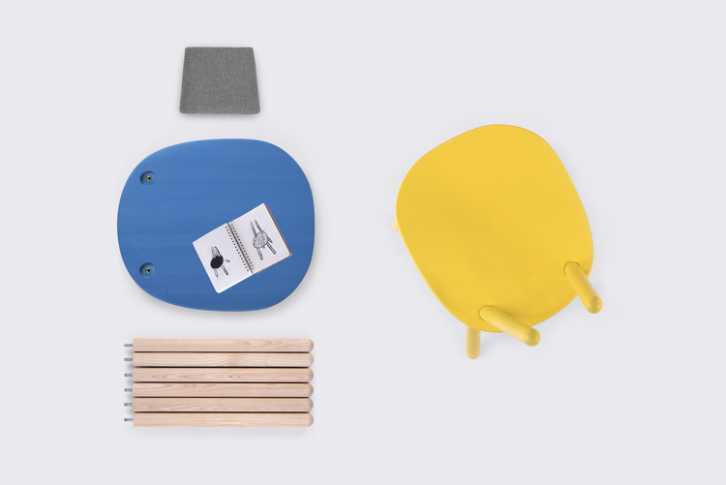 As an extra feature, the easily interchangeable parts enable the user to played with the chair’s color palette, from classical solid wood to a mix of joyful tones. 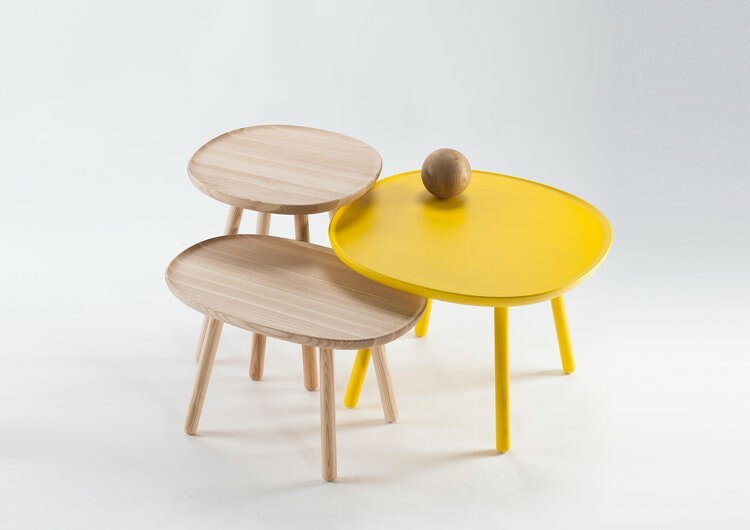 The rest of the collecton speaks the same modest and clean language, and perfectly expresses the philosophy behind EMKO, a Lithuanian-based furniture design and home-accessory company that was founded by Erika Markovska-Mikulskien in 2009, with the goal of resurfacing Lithuanian design, rooted in the ancient Baltic tradition of craftsmanship, at the intersection of three distinct cultures, Scandinavian to the North, Europe to the West and Russia to the east. Inesa Malafej and Arunas Sukarevicius have been working together since they began their design studies at the Vilnius Academy of Arts. 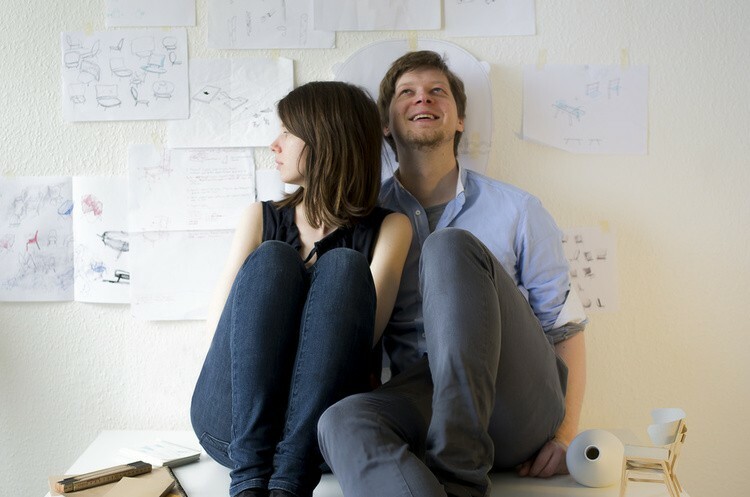 In 2012, while continuing their studies at the Royal Danish Academy, they started their own studio, etc.etc., updating tradition to fit future needs.